Have you ever used aromatherapy or experienced a boost in your mood after you’ve encountered a familiar smell that triggered a fond memory? If so, then you know how smell can directly affect how you feel. In fact, it’s smell that often triggers memories and emotions. And it’s smell–more so than the other senses–that can best influence brain activity and help us calm down. So when it comes to feelings of overwhelm and anxiousness, it makes sense that aromatherapy can help. With properties that help to soothe the mind and body, the warm, woody scent of Cedarwood promotes a relaxing environment. Often called the “king of oils, ” Frankincense promotes feelings of peace and overall wellness when used aromatically. While providing a sweet, floral aroma, Roman Chamomile can soothe body systems as it supports calming effects for the skin, mind and body. With a unique, exotic aroma, Vetiver is known to provide a calming, grounding effect on emotions, promoting restful sleep. I suggest diffusing these oils during the day, and applying a couple of drops to your wrist, chest, and back of neck while you’re out and about. You might be wondering, if essential oils help calm your mood, then can they help for sleep? The answer is ABSOLUTELY!!! Quality sleep is essential. If you’re not sleeping well or sleeping enough, you simply can’t be your best self. Your energy tanks, your mood is off, you get sick easier, you crave unhealthy food, and you just don’t feel well. Experts recommend that adults get at least 7–8 hours of sleep every night. Unfortunately, about 33 percent of Americans are not getting the recommended amount of sleep per night, and approximately 1 in every 5 adults in the United States experiences occasional sleeplessness or difficulty sleeping. Depriving your body of sleep has been linked to many health risks and places a tremendous burden on virtually every organ system in your body. Lack of adequate sleep affects our ability to lose weight or to maintain a healthy weight; influences how we feel, learn, and behave; negatively impacts our cardiovascular health and overall wellbeing; and can reduce reaction time and interfere with our ability to drive. All of the oils recommended above have powerful calming properties and are perfect to diffuse in your bedroom to support restful sleep. You can also consider adding a few drops to an epsom salt bath before bed or applying a couple of drops to the bottom of your feet before bed. All of these practices will help calm and relax your mind, so you can easily drift off to restful sleep. Whether you are overwhelmed with grief or sadness, need to be energized and motivated, or need calming and peaceful feelings throughout your day, essential oils can be helpful in supporting your mood and your sleep. I would love to hear from you! Do you use essential oils for mood and sleep support? Please share your favorite oils and how you use them! 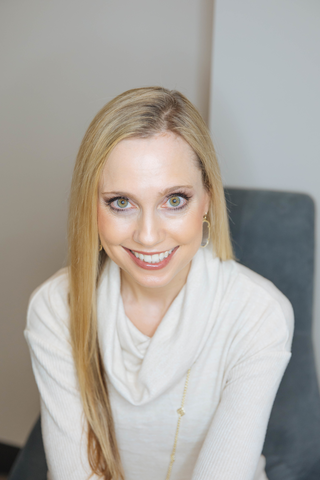 Jen Broyles is a Certified Holistic Health Coach and essential oils educator who helps people regain their health and vitality naturally through nutrition, stress-management, essential oils, and natural solutions. Jen has a special interest in gut health, detox, mood, and hormone imbalances. You can visit her website for healthy living advice, practical essential oils tips, and delicious recipes at www.jenbroyles.com.